An illuminating article in Haaretz describes how certain industrious Israelis realized the marketing potential of khat juice – an exhilarating stimulant made from extracts of Catha edulis and other ingredients – and turned the potent drink into one of the most highly sought after drugs in all of Tel Aviv. Dafna Arad goes into significant detail about the local social and health impact of this new trend, describing a society so eager to prolong their dancing and productive hours that they are flocking to restaurants to buy it, but does a little less to address the trend’s potential environmental consequence or its greater social impact. Cultivated primarily in the Arabian Peninsula and the Horn of Africa, khat is illegal in many countries because it is known to be addictive, to cause high blood pressure and may even set off psychosis in long-term users. Also, as with most “uppers,” there is inevitably a downside. “Khat can also affect sleep, leading to rebound effects such as late awakening, decreased productivity and day-time sleepiness,” the World Health Organization (WHO) reported. This crash tends to set off a vicious cycle whereby using more ghat is necessary to maintain the acute concentration and high energy that often comes with chewing ghat stems or drinking this new bespoke drink. Available on Facebook and at kiosks in both Jerusalem and Tel Aviv, khat is legal in Israel, largely because the authorities were loathe to deprive a certain demographic of a longstanding tradition. But that could change if the current craze gets out of hand. The Israel Anti-Drug Authority is mulling over “khat juice sales” and – together with the Justice and Health Ministries and the Israel Police – is working toward formulating recommendations, according to Haaretz. “The growing use of khat and its use as an ingredient in drinks served in bars, clubs and restaurants is problematic, but the legal solution must also provide an answer to the issue of equality before the law as this relates to the use of all khat products,” the authority told the paper. 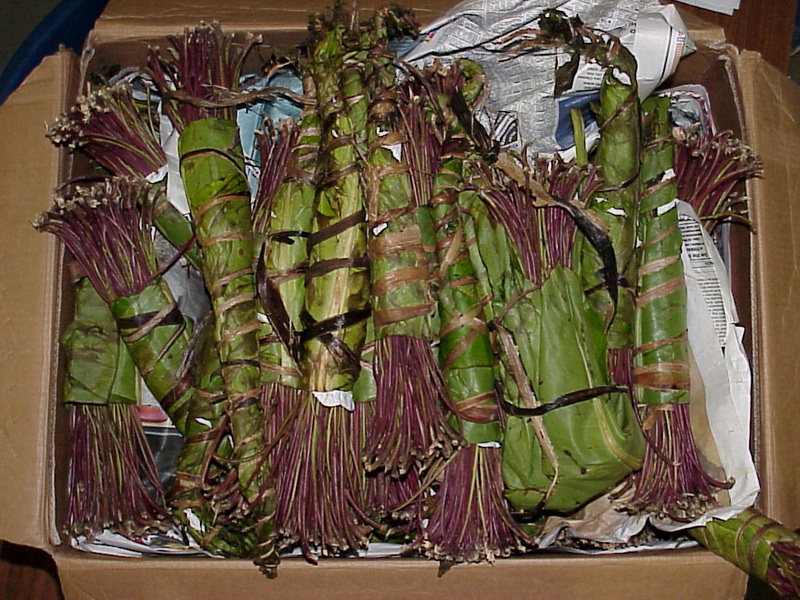 Are khat sales funding terror? Interestingly, even observant Israelis who normally abstain from alcohol, marijuana and other drugs will drink khat juice, even though it contains cathinone, an amphetamine-like alkaloid. Hame’orav in Tel Aviv sells each glass for about $6 and youth are said to be visiting in bus loads, totally ignorant of the wider implications of their purchase. Everything comes from somewhere and there’s good reason to believe that khat may be funding terror in Somalia. The Dutch government is so convinced of this that they are working towards banning the narcotic and encouraging those western countries that haven’t already done so to follow suit. In Yemen, where chewing khat stems is a way of life for 90% of the country’s men, khat crops have displaced subsistence farms and – a water-intensive crop – exarcerbated existing water shortages. Families are suffering too. Men and women who chew too much khat abandon their domestic responsibilities in favor of spending hour of hour getting mildly high. We haven’t seen any studies that compare ghat with alcohol or marijuana, for example, in order to gauge which has a lesser environmental, fiscal and social impact, but we are curious to see if the trend will be arrested before any serious consequences sprout. This is dope! I am British and because of a large Somali community in the UK I have been introduced to khat. I have to admit it is the best recreational thing i have ever done. However chewing it is so time consuming! I always wondered if it was possible to make it into a juice drink. I like Khat high because unlike other things like alcohol or pot you do not loose your senses. They just get sharper in a moderate form. According to this study Khat has one of the lowest abuse potentials and bodily harm potentials. This figure can be seen here as compared to several other addictive substances. And the discussions made in important diplomatic, social, economic and political meetings in Yemen are often forgotten because several members chew khat throughout (should be a whole other article)! imagine the forgone productivity for the country!